Weirdmageddon in the Gravity Falls finale. 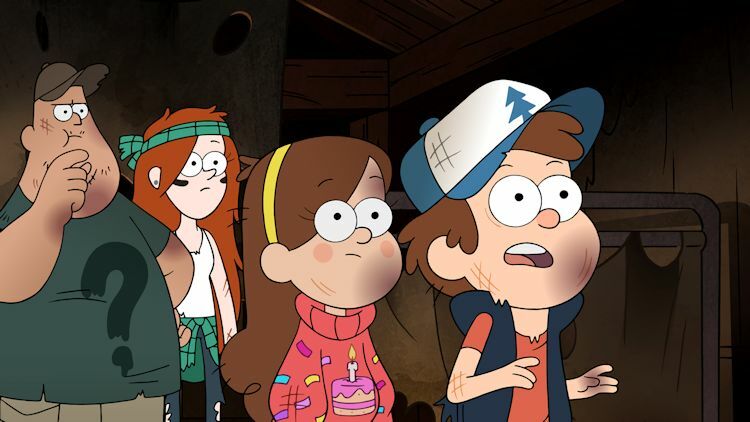 After 3 ½ years, two full seasons and 40 episodes, Disney XD’s Gravity Falls is about to air its final show—and I’m a little bummed by this. Gravity Falls is my favorite thing on Disney television right now, ranking right up there with Phineas and Ferb, another great Disney animated series that came to an end. The summer adventures of Dipper and Mabel Pines at their great uncle Stan’s Mystery Shack in the Oregon backwoods has been consistently funny, irreverent, exciting and even a little sweet. There have been mysteries solved, monsters defeated and life lessons learned in a show that is as entertaining for kids as it is for adults. The show’s final episode, “Weirdmageddon 3: Take Back the Falls,” will air on Disney XD Monday, February 15 at 7:00 p.m. In it, we'll find out the fate of the Gravity Falls townsfolk at the hands of Bill Cipher, the one-eyed, triangle-shaped being from another dimension hell-bent on ruling—and possibly destroying—the entire known universe. It’s going to be fun, really. This week, I attended a press event in Burbank with some of the cast and creative people of Gravity Falls. On hand was the show’s creator and voice of Grunkle Stan, as well as the lovable handyman Soos, Alex Hirsch. Joining him were the actors who voice Dipper and Mabel Pines, Jason Ritter and Kristen Schaal. And finally, we heard from the composer of Gravity Falls' catchy, mysterious and whimsical music, Brad Breeck. Drew Taylor with the Disney Insider moderated the panel discussion, which was followed by questions from the press (including me). Alex, Jason, Kristen and Brad shared their favorite moments from the show, how the Gravity Falls characters developed and grew, and why it made sense to end the series when they did. (l. to r.) Drew Taylor, Alex Hirsch, Jason Ritter and Kristen Schaal. In a move inspired by Garry Apgar, my guest in the Lounge last week, I challenged our resident mixologist Carolyn to devise a cocktail worthy of Mickey Mouse's arch-nemesis Black Pete. I'm happy to report she came through with flying colors (or maybe she was just Plane Crazy). 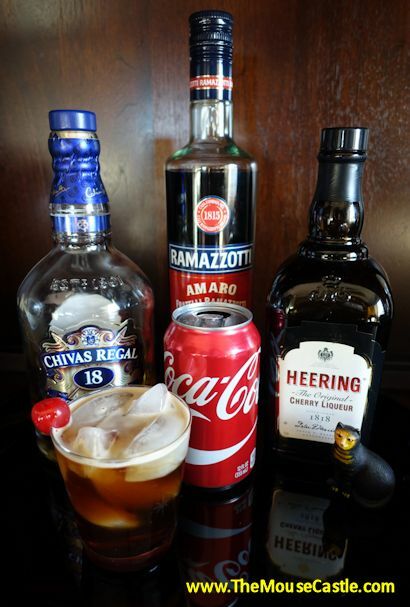 In a shaker, combine the Scotch, Cherry Heering, and Ramazzotti, fill with ice, and shake to chill. Strain into an ice filled rocks glass. Top with Coke. Garnish. The "Black Pete" sounds tempting. Now all's I need is a hollow pegleg to hold more than my fair share!